For more than 50 years, children’s play time has been gradually declining. Electronic entertainment has become the babysitter and adventurous play has moved from acres to pixels. That’s why incorporating play into children’s ministry environments is more important than ever. 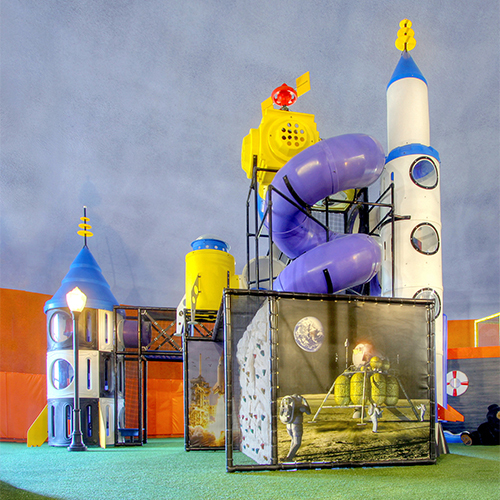 Play areas are recognized by many children’s ministries as powerful tools in connecting with kids. Our play structures have proven success in driving new families and members to faith centers providing a great place for parents to drop off children for childcare and educational programs. More importantly, our church playground equipment helps you reach more kids, connect to them and practice your beliefs together. They make families feel welcome. Many faith-based communities want to welcome families and become truly family-friendly environments. Providing an indoor playground helps show families you care about every member, including the youngest. For families concerned about finding childcare options, an indoor playground combined with childcare volunteers can help you attract and retain families who don’t want to worry about finding babysitters or caregivers while they attend worship services. 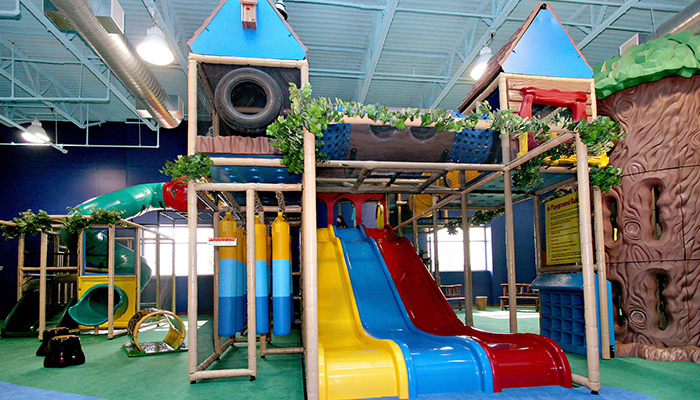 They provide a fun place for children to play. 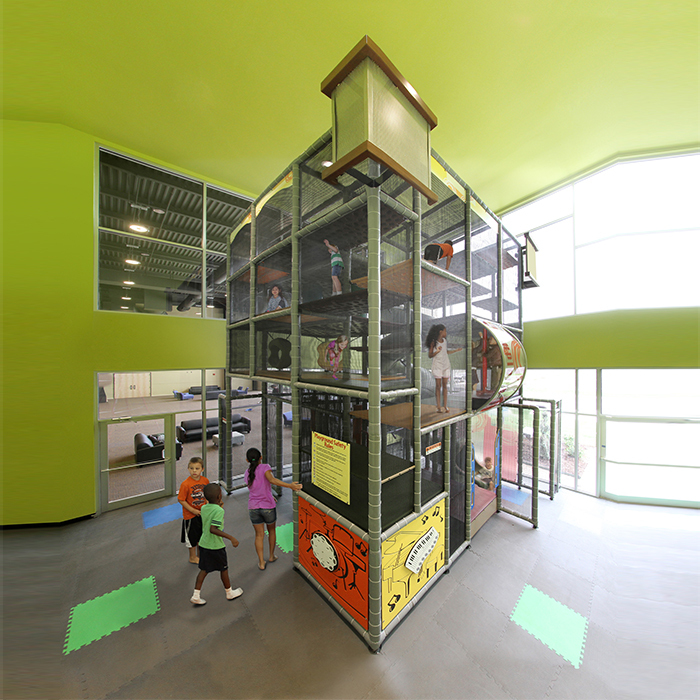 Indoor playgrounds are fun for children, and young children can get a great introduction to your community by learning how fun it is to visit. They offer a safe environment for children to play. In some communities there may not be many outdoor play options. An indoor playground in your church or place of worship can offer a safe environment for children to play in all kinds of weather. They offer opportunities for learning and growing. Playgrounds are not just for play. If you offer faith-based education or Sunday school, playgrounds can be one more place where children can learn. If you offer youth programs or children’s programming, the playground can be one place where such teaching or programs can take place. Also, activity panels in the playground can help teach younger children the basics of math, music, matching and other skills. They let you connect with all ages in your religious community. Getting to know every member of your congregation means getting to know the younger constituents as well. A playground offers children a place to run around while giving them a chance to get to know the community and build family connections. Rethink play and see its value. Healthy children learn more effectively and achieve more academically. Design play structures with your beliefs in mind. Our play areas can be custom designed to bring together age-appropriate play activities with spiritual health and wellness. Incorporate a variety of play events. For kids, variety is a fun play experience. For faith leaders, variety boosts attendance and strengthens community. Don’t limit your vision due to space concerns. Our custom play areas can easily fit within classroom settings and can be tailored to fit almost any budget. Our indoor playground has been such a blessing to our church. The kids are absolutely thrilled by it and never grow tired of playing on it. And our children's workers love knowing the kids can have a safe, high energy time of play each week, no matter the weather! This equipment has also provided great opportunities for parents to enjoy time together while their kids play. Overall, we couldn't be more pleased. 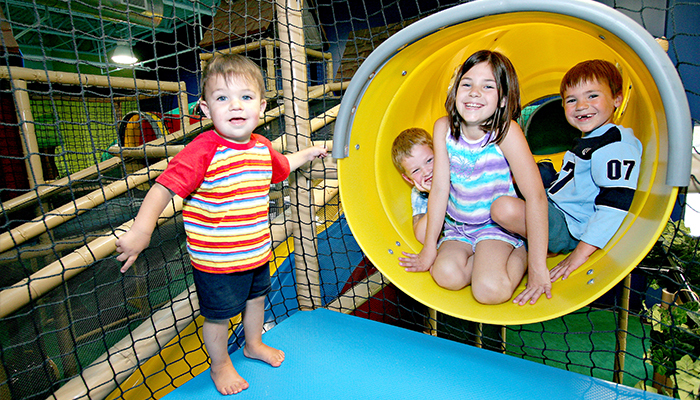 Indoor church playground equipment from Soft Play® is a long-term investment. 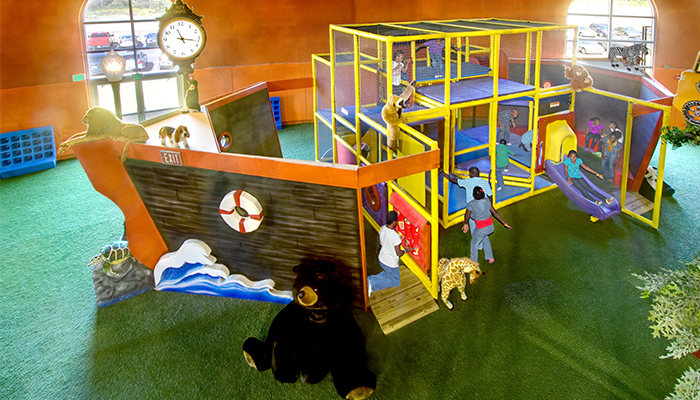 Our church indoor playground equipment is designed from durable materials and is made to last. It will take you through many years of fun activities for children in your community. Additionally, all of our equipment is carefully tested and engineered for maximum safety, so you’ll only have to focus on having fun! If you’re interested in introducing or reviving a church playground to help all members of your community thrive, contact Soft Play or take a look at our options. In addition to a variety of playground equipment available, we also offer custom solutions for specific uses. Feel free to contact us for design options and get the process started today – we offer free design consultations!